What does the author have in mind? Don’t be put off by the introduction, unless you go in for that sort of thing. Instead, dive right into chapter one to find yourself turning the pages almost as fast as your eyes can devour the contents. It’s that good. 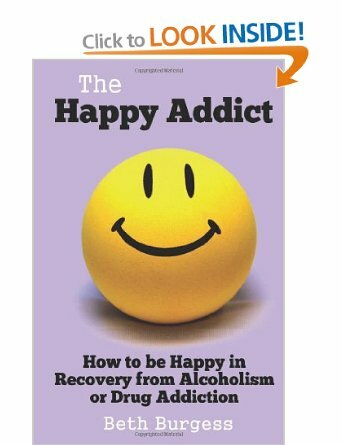 Or, to be more precise, the author not only knows what she is talking about, she also makes it crystal clear to the reader who seriously wants to get on with life in recovery – and to have a fighting chance at making that life as happy and productive as possible. And this is the cleaned-up version, at that. Burgess started drinking everyday at the age of eighteen. She says it was after developing and being diagnosed with Social Anxiety Disorder. That is something she reveals in chapter two. But perhaps the best parts about the book, along with its imminently readable style are the exercises and takeaways at the end of each chapter. For chapter two, it’s “Be responsible for turning your life around.” Think that’s too simplistic? You’ll have to read the book to find out how she arrives at this succinct transition from one chapter to the next. This won’t be a chapter summary. 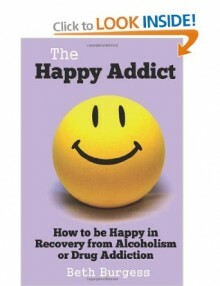 Suffice to say that the book’s fifteen chapters are more than enough to give anyone with half an intention to live an enjoyable life in sobriety will find more than his or her money’s worth. Since values are critically important (to discover, develop and adhere to), be sure to visit and revisit the list contained at the end of the book. One last point about the author – she’s British. So, for those who are unfamiliar with the way English is spoken and written across the pond, be forewarned. While some of the places mentioned may be unfamiliar, Burgess explains what and where clearly enough so that it’s not off-putting. And, after you see the spelling differences in a few of the words, you’ll easily get past that, too. I have to confess that I have not read Beth’s book, but I know it will be good given the quality of her last book, The Recovery Formula. I had to laugh at the second last paragraph. Strange to think that we have to warn fellow country people – ”she’s British” – about the writing of those speaking the same language in another country. Would the British warn their country folk about an American author’s writing?